The Winner and Runner-ups have been randomly drawn. Congrats to Sting for winning the major Prize. Runner-ups who win a double movie pass are Ins0mn1ac, Stasis with the other 3 runner-ups on the Facebook post. Dragon Ball Super: Broly – in cinemas January 24. Earth is peaceful following the Tournament of Power, but realising the universes hold many unknown and powerful foes, Goku spends all his days training to reach greater power levels. 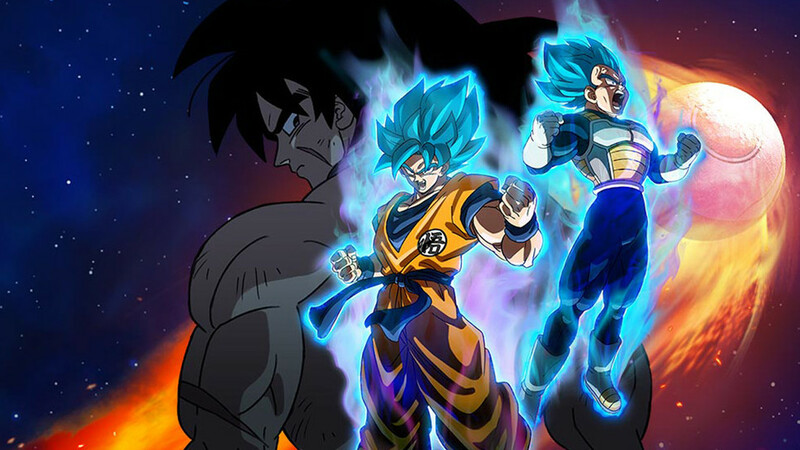 Suddenly, Goku and Vegeta are faced by a fellow Saiyan named Broly. With most Saiyans thought extinct following the destruction of Planet Vegeta, what’s this one doing on Earth? These three Saiyans, who have followed completely different destinies, now join a stupendous battle and even Freeza (back from Hell!) is dragged into the battle. To celebrate the release of DRAGON BALL SUPER: BROLY, which arrives in NZ cinemas on 24 January, we are giving away a mammoth prize pack worth over $400, which includes tickets to the film and seven DRAGON BALL DVD sets. We've also got 5 double passes for runner-ups to give away. Enter below, and don’t miss the Saiyan battle of the year on the big screen! What two Dragon Ball characters would you most like to see battle it out in a feature film and why? Entries close midday, Saturday January 26. The winning entry will be selected by Gameplanet from comments posted on the competition page and on Facebook.